Sometime later this year, Volkswagen will unveil the first of many all-new electric vehicles which will fall under its ID-branded lineup. The first is expected to be a hatchback, followed by a crossover and even a reincarnation of the iconic VW bus, based on the ID Buzz concept. But what about a certain other VW icon, the Beetle? The outgoing generation Beetle is leaving the scene without a replacement lined up, but will that change? Nope. In other words, a reborn, fully-electric bus is good enough, as far as historic vehicles go. 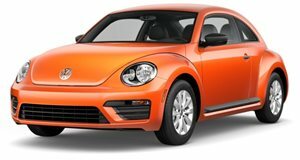 The departed Beetle was also experiencing a significant sales drop during its last few years of life not because it was a bad car, but rather because consumers were losing interest in coupes and convertibles. The latter is an especially niche segment where there are few winners today. The Mazda MX-5 Miata is one of the few exceptions. The outgoing Beetle, which was built on the previous generation Golf platform, no longer served a significant purpose for VW, other than nostalgia. That task will instead be given to the reborn bus. The fact that it’ll be an EV is equally important. All of VW’s upcoming EVs will ride on its new, EV-only MEB platform. "You can do such derivatives probably easier this way than on conventional platforms,” Diess added. "That basically made the ID Buzz possible because with that platform you have the flat battery so you have a lot of design freedom. 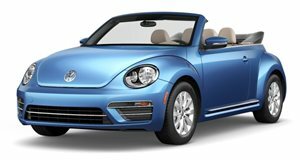 You can do many very emotional vehicles easier.” The Beetle, however, will not be one of those vehicles as it returns to VW’s history books.